Ramunas Bogdanas, the former adviser to Lithuanian president Vytautas Landsbergis, has written this interesting commentary on Katyn, which I am glad to give a platform to. For 70 years the word Katyn is an open wound in the memory of the Polish nation. It can be healed only by the victory of truth against lie. This battle lasts since 1943, when Goebbels wrote in his diary on the day the Germans were retreating from Katyn: with no doubt the Russians shall blame the Germans for this crime. The Nazi ideologist guessed right because there was no difference in the essence of these enemies. During the trial in Nurnberg the Soviets tried to accuse Nazis of the Katyn massacre but the allies didn’t dare to confirm the fake, and it was nonsuited due to the “lack of evidence”. The first Katyn annihilated the officers of the Second Republic, and the second – all the top commanders of the Third Republic. For 70 years Katyn means the opposition of justice against iniquity. On one side – 21,680 killed, on the other – pragmatism, indifference, secrecy. When the prime minister in exile Wladislaw Sikorski, residing in London, learned about Katyn in April, 1943, he asked Winston Churchill to approach Stalin for explanation. Churchill, knowing the truth, wouldn’t disturb his ally. Stalin suspended all the relations with that Polish government, and just after a month the plane with W.Sikorski crashed when taking off in Gibraltar. At that time the famous soviet spy Kim Philby was operating in Gibraltar as the British intelligence officer. The President of the USA Franklin d Roosevelt got all the information about the massacre of the Polish from his special emissary in 1944 but he suppressed the report and officially rejected the conclusion. The first to partially acknowledge the responsibility of NKVD for Katyn was Michail Gorbachev. Later Boris Jelcin handed to Poles a section of documents about Katyn which were always kept in the file No.1 of the First Secretary of the Communist party. The trial was started by the Russian military prosecutor in 1990 but it was closed with no results in 2004. The relatives of the victims approached the European Court of Human Rights in Strasbourg. Vladimir Putin invited the Polish prime minister Donald Tusk to visit Katyn on April, 6. On the eve the court in Strasburg received the answer from Russia to the request. It states: “It appeared impossible to get the information about the execution of the decision to shoot particular persons as all the notes are destroyed, and it is impossible to restore them”. So to whom Putin bowed his head next day? According to the official answer to Strasburg it is impossible to tell were almost 22,000 Poles have disappeared. Another half-true of Russia was the explanation of Putin that the documents are kept secret because of the humanistic reasons as the guilty have offsprings and relatives. According to these logics, all the murders and rapists should be classified. Putin spoke only about the abstract victims of totalitarianism and claimed that Russia has already evaluated the crimes of Stalinism. O course! Moscow is under preparation to welcome the guests of the Victory parade on May, 9 spruced up with the portraits of Stalin. Somehow the Germans don’t display Hitler for eliminating unemployment in the pre-war Germany. When then German Chancellor Willy Brandt visited the ghetto of Warsaw he didn’t start explanations what is the difference between FRG and the Third Reich. Being the antifascist and social democrat from his young days, he performed penance bending his knees on the pavement of the ghetto. The politics of half-step could be felt in all the setting of the prime ministers meeting. Russia never showed the movie of Andziej Wajda “Katyn” (2007) before. It appeared on TV on the eve of the visit to Katyn but it was on the channel “Kultura” which has a low popularity. V. Putin did invite D.Tusk to Katyn but came himself very late making the Polish prime minister wait for him almost an hour. In the language of diplomats this means: “You must know your proper place”. The aircraft of the President of Poland plunged into the hardly transparent mist above Katyn both figuratively and directly. That was a private visit, and no high Kremlin officials were waiting for him. As one Russian pilot said on the radio “Echo of Moscow”, the special landing equipment which was brought to the airport to harbor the planes of Putin and Tusk has been removed. But in his not delivered speech Lech Kaczynski wanted to express his delight that the move towards the truth has started in Russia. As his last will the President left his unspoken wish “not to stop by any means” till the truth is revealed. As J.W. Goethe has said, the truth heals the evil. When a man can watch the truth directly into the eyes, he is free. The meeting of two prime ministers paved the way to the relations based on the marginalizing the uncomfortable truth for the sake of the pragmatic interests of today. But such half-truth would leave Russians with a burden of guilty conscience which then raises the troublesome questions : why does nobody love us? ; why don’t we enjoy confidence around? And the Poles would stay with a bleeding wound under a nice bandage. The crash of the Presidential plane didn’t leave a chance for lip–deep truth. The sudden change in the behavior of Russia might be the reaction to the attempts taken by the American companies to explore the promising fields of shale gas in Poland. They declared the start this month. The success would mean the weakening of the main weapon of Putin’s politics which is Gazprom. If the shale gas is a success that will change the situation all over Europe. It is very pragmatic to get as close to Poland as possible, maybe becoming involved in the gas sector now, at the very start of the shale gas exploiting. According to one of the US founding fathers Thomas Jefferson, the tree of freedom now and then must be watered with the blood of the patriots. Katyn-2 illuminated the wandering in the twilight like a lightning. “Katyn” of A.Wajda was replayed on the main Russian TV channel in the primetime. The hearts of Poles are full of gratitude for Russian compassion. The sharp Russian journalists declare to be proud of state authorities for the first time after many years. Lech Kaczynski was mocked not only in Poland where he had almost no chances in the Presidential elections to be held this autumn. He was uncomfortable for EU for his firm principles, and the Western mass media used to sting him. Even after his death the biggest Antwerp newspaper published a contemptible cartoon “The eagle landed” with a picture of the eagle of the Polish coat of arms fallen on the Polish red and white flag. After the crash there was a version spread that L.Kaczynski himself could press on the pilot to land in spite of the adverse air conditions. This was proven by the false story that he urged the pilot to land in Tbilisi during the military conflict in August, 2008, and after the pilot refused, later he put attempts to fire him. I specifically asked about this the former President of Lithuania Valdas Adamkus who was on that flight, and he was seated directly in front of L.Kaczynski so they could communicate during the flight – by the way, that was the same plane that crashed near Smolensk, and the first pilot in the flight to Smolensk kpt. Arkadiusz Protasiuk was a second pilot on the flight to Georgia. Mr. Adamkus witnessed that L.Kaczynski listened to the report of the pilot to land in Azerbaijan instead, and the only question he asked was if the cars to move to Tbilisi were arranged. Death purified the essence of that man, and the Poles spend long hours queueing to pay homage for this small man with a big heart devoted to his motherland. I t happens often that a person is appreciated only after death. Only then appears the perception that the foundation of the state rests on the basic principles but not on the optimum of pork export. According to the Constitution the early presidential elections shall be held in June. Thanks to the unknown will on the eve of the flight the twin brother of the President refused to fly together. The explanation about their mother in the hospital is not really sound: the trip would last just half a day. Due to that decision there is a man in Poland now who is called the strategist of the tandem, the former prime minister in 2005-2007. It seems that the faith points him to continue standing for principles that his brother died for. Jaroslaw Kaczynski is an identical twin. Emotionally, he will seem to the electorate as the embodied president who is buried with the kings in the royal palace of Wawel in Cracow. The memoirs of the Sunday ceremony will still be alive, when only the nice words came from the lips of the visitants, the mighty of this world. Even the future rivals of the election campaign have to select the words of respect at the farewell ceremony. If Jaroslaw Kaczynski participates, the election campaign shall differ. The sceptical words against the gone President will be accepted as a scorn to Poland. The compliments to Lech Kaczynski the Poles accept now as the compliments to Poland. In Poland especially, no one can criticize what brings glory to the state. And the electorate even visually will see the copy of so honoured Lech Kaczynski in the face of Jaroslaw. Bearing in mind that the accident near Smolensk paves the way to the truth in the story of Katyn, and not forgetting the Polish deep sense of honour I wouldn’t be astonished if J.Kaczynski is elected as the President. His destiny would be to start a new page of Polish – Russian relations which his twin brother opened with a sacrifice of his life. NO COUNTRY can endure the loss of dozens of its leading military, political and cultural figures without great pain. And in Poland, a place where history is punctuated by tragedy, it is all too tempting to link the plane crash that killed 96 people on April 10th, including President Lech Kaczynski (see obituary), with such other sorrows as the wartime Katyn massacre that they were flying to Smolensk to commemorate. But that linkage is both lazy and misleading. The Katyn killings marked the deliberate decapitation of the pre-war state. The 22,000 prisoners-of-war murdered by Stalin’s secret police were not just the military leadership; they were also reservists—doctors, lawyers, teachers, officials—who formed the middle-class backbone of Poland. Stalin knew they were the biggest human obstruction to his plan, cooked up with Hitler, to wipe Poland from the map. The plane crash was no decapitation. The empty posts are being filled calmly and correctly. Poland’s constitutional order has been scrupulously maintained (no Slavic Alexander Haig rushed in front of the cameras to proclaim “I’m in control”). The markets have been quite unmoved by the news. A second difference is that Katyn was a crime compounded by a lie. Until 1990 the Soviet authorities blamed the murders on the Nazis. Under Vladimir Putin, the archives stayed sealed, judicial rehabilitation of the victims stalled and the excuses and deceits crept back. Those trying to raise the issue of Katyn felt that they were fighting a lonely battle. Not any more. The Katyn campaigners and relatives who perished this week have achieved in death a level of worldwide recognition for their cause that they never saw in life. The crash has also brought unprecedented Russian openness and sympathy towards Poland. Mr Putin, not always this newspaper’s favourite ruler, deserves great credit. He had already denounced the Katyn massacre at a joint ceremony a few days earlier. Russian state television screened a gut-wrenching Polish film about the atrocity. After the crash it did so again. And far from covering things up, Russia’s co-operation with the Polish authorities in the aftermath of the crash has been exemplary. Even the most determined conspiracy theorists are finding no grist for their mills. Footage of Mr Putin embracing his Polish counterpart, Donald Tusk, at the crash site may come to exemplify a new relationship of trust and friendship, just as the smashed skulls and rotting bodies of Katyn victims of 70 years ago stood for the horrors of the past. Mr Putin could do more to banish the spectre of Soviet nostalgia from Russia. But the main task is for Poland. Katyn came at the nadir of the country’s fortunes; the latest tragedy comes at a time when it has never been stronger, more prosperous or more secure (see article). Poland was the only European country whose economy grew last year. In 2011 it will hold the rotating six-month presidency of the European Union, preceded by its close ally, Hungary. That will be a salutary shock for those who think the EU is run out of Brussels by France and Germany. Then comes another moment in the spotlight: the 2012 European football championships, shared with Ukraine. Yet the old stereotypes of a poor, neurotic country still have some claim on reality. A million or more enterprising Poles, fed up with grotty public services and a poor quality of life, have voted with their feet to work abroad. The country needs a dose of energetic reform to give them a reason to return. And a worrying whiff of sleaze hangs over public life. Fighting corruption was one of the things that most animated Lech Kaczynski and his twin brother Jaroslaw. To make Poland a shining success would be the best tribute to those who died in Katyn 70 years ago and at Smolensk airport on April 10th. As 12-year-olds the twins starred in a popular Polish fantasy film, “The Two Who Stole the Moon”, though in real life the swotty duo had little in common with the scamps they portrayed. Both became academic lawyers, Lech specialising in labour law. That proved useful during the Solidarity era, when he advised the opposition trade union’s leaders in their talks with the communist boss-class. After the imposition of martial law in December 1981, he was interned for ten months. He helped negotiate the communist regime’s surrender in 1989 and was one of the victors in the electoral triumph that followed. Soon after, he became security minister, developing a lasting distaste for the continuing influence of old communist spooks in public life. He resigned after falling out with his former friend, the Solidarity leader-turned-president, Lech Walesa, whom he later accused of having collaborated with the communist secret police. He was a crime-busting justice minister and then mayor of Warsaw. His legacy there is the capital’s haunting museum of the 1944 uprising, crushed by occupying German forces while a nearby Soviet army kept aloof. Both his parents fought in it. But few saw him as a likely head of state. He was the less prominent of the twins: their all-but-identical appearance (Lech had a mole on his cheek; Jaroslaw did not) belied big differences. Lech was the younger and shyer, Jaroslaw the brainier, the bossier and the mastermind of the Law and Justice party (PiS in its Polish acronym) which they founded in 2001. A surprise victor in 2005, Lech Kaczynski proved an uneasy president. He looked nervous at public occasions. Foreign ambassadors in Warsaw traded horror stories about protocol snafus in his chaotic chancery. His public relations were awful, consumed by suspicion of media plots against him. But content as well as form was adrift. His grasp of economics was hazy, but that of foreign affairs was weaker still. Before his election Lech (like his brother) displayed scant interest in them. He spoke no foreign languages and had travelled little. His worldview was fixed: America, good, Russia and Germany, bad. Fellow-victims of communist imperialism, such as Lithuania, Ukraine and Georgia, needed help against the ex-KGB regime in Russia. Poland should always support Israel. The EU was overmighty and too secular. Most other countries did not matter at all. Those views were popular among many Poles. But Mr Kaczynski pursued them clumsily, sometimes disastrously so. His performances at European summits were petulant and destructive. Repeated attempts by Angela Merkel, the polonophile German chancellor, to build a strong relationship with Poland were rebuffed. He told Germany to give Poland voting rights to reflect her wartime population losses. He cancelled his attendance at a trilateral French-German-Polish summit in 2006 in protest at an insulting German newspaper article. Bemusingly, he demanded a government apology. Such gaffes and inexperience made Mr Kaczynski easy to lampoon. So did his socially conservative views. As mayor he banned gay parades in Warsaw. His stance was mainstream in Catholic Poland but shocked secular European opinion. Hostile journalists at home and abroad enjoyed ridiculing him. But his critics often missed his virtues and overstated his faults. He was a patriot, but not a nationalist. He was no bigot: his daughter divorced, and then married someone active in Poland’s left-wing party, the SLD, which has its roots in the former communist party. Mr Kaczynski treated his new son-in-law with impeccable kindness. Nor was he simply right-wing in the traditional sense. If anything, his views were those of Poland’s pre-war Socialist party. He was rather sceptical of big business (not least because of his concern for workers’ rights). Free-marketeers found him frustratingly unsympathetic to demands for more liberalisation and less bureaucracy. His great concern, and that of many founding members of PiS, was corruption. Scrupulously honest themselves (his brother Jaroslaw does not even have a bank account) the twins could hardly have been more different from the sleek cronies who populate large parts of the Polish political spectrum. The Kaczynskis’ real failure was overzealousness: their anti-corruption crusade too often trampled over the rule of law that they wanted to uphold. Mr Kaczynski was trailing badly in the re-election race due in October. Poles like honesty. But they like competence, effectiveness and modernity, too. COMMUNAL mourning after a national tragedy is deep but transient. People thought that the death in 1997 of Diana, Princess of Wales, would change Britain for ever. After a few weeks, things got back to normal. The same was true in Poland after the death in 2005 of the country’s most famous son, Pope John Paul II. The sense of national solidarity and the kindness between strangers were overwhelming. But they didn’t last. And so, almost certainly, it will be with the great convulsion of grief that has swept Poland since the death of President Lech Kaczynski and 95 others in an aeroplane crash in Russia. After the funerals on April 17th, the media will doubtless resume its backbiting and excitability; politics will once again be bad-tempered, and people will ask hard questions about the crash. Some of these will deserve answers more than others. It is not inherently scandalous, for example, that the Polish president was flying in a Soviet-made plane, recently serviced in Russia. The Tupolev 154 is thirsty and noisy, but robust and reliable. Nor do the conspiracy theories deserve a nanosecond’s attention. It is true that Poland’s wartime leader, Wladyslaw Sikorski, died in a mysterious aeroplane crash in Gibraltar in 1943, just as he was demanding the truth about the newly discovered massacre at Katyn. But the terrible coincidence is just that: a coincidence. Russia’s co-operation with the investigation cannot be faulted. It may even be the start of a deeper reconciliation between the two countries. What does look questionable is the concentration of talent on the passenger list. The crash cost Poland’s armed forces six of their top seven commanders, and killed dozens of other notables. Countries and big companies usually have strict rules about how many of their most vital people can fly in the same plane. The crash shows the wisdom of such practices. The investigation may reveal other misjudgments, too. Mr Kaczynski publicly berated for cowardice a pilot who refused to fly him and four other heads of state to Tbilisi during a mission to support the Georgian leadership during the war in August 2008. (The pilot later got a medal for refusing to obey the president’s reckless order.) The theory that on April 10th the pilot felt unduly pressured to get the president to the commemoration of the Katyn massacre, despite severe fog at Smolensk airport, deserves scrutiny. Some also wonder if it is overdoing things to give the late president, a divisive figure, the honour of burial in the crypt of the Wawel cathedral in Cracow, alongside Poland’s greatest leaders. But whatever combination of incompetence, recklessness and sheer bad luck turns out to have caused the disaster, the bigger picture of Poland is a bright one. Foreigners used to stereotypes about Polish disorganisation, backwardness and prejudice find plenty to surprise them. The clearest success is the economy. Poland is not only doing well in the “ex-communist” region (already a dated category). It is doing well by any standard. Its economy was the only one in Europe to boast growth last year, of 1.7%. Though the budget deficit is a whopping 7% of GDP, outsiders are unbothered. Poland’s banking system is solid, being largely unburdened by the rotten foreign-currency loans made in places such as Hungary and Latvia. Outside investors like Poland. It attracted more than $10 billion in foreign direct investment last year. Debt, at 53% of GDP, is manageable. Countries such as Britain might drool at that. Poland’s success is partly a matter of luck. Its size (the biggest economy by far of the European Union’s newer members) means that domestic demand cushioned a fall in exports. EU taxpayers’ money for new roads, railways and other modernisation provided a fiscal stimulus at the right time. Growing interest by outside investors in Poland’s big gas reserves has raised the prospect of both a bonanza and greater energy independence—a big deal in a country fearful of over-dependence on Russian gas. There was also good judgment. Poland has used monetary and fiscal policy well during the crisis. It has made a stab at reforming the pension system—a weak point in all ex-communist countries. It is using EU money more effectively than in the past. One of the biggest successes of Donald Tusk, the prime minister, has been to push squabbling local politicians to agree quickly on road-building programmes. Transport bottlenecks were an infuriating and growth-stifling feature of Polish life. The government now exudes confidence. Mr Tusk heads a stable coalition with a solid parliamentary majority (unknown in modern Polish history). Business likes that. Among its prominent members are the finance minister, Jacek Rostowski, an economics professor from Britain; and Radek Sikorski, the foreign minister. A teenage refugee from communism, Mr Sikorski boasts a degree from Oxford and a high-profile American wife (who was a former Economist journalist). Both men have the connections and language skills to get Poland’s message across in a way that stirs envy among other politicians, working in laboured English or through interpreters. Under the previous government, led by the late president’s twin brother Jaroslaw, Poland was turning into a laughing-stock. The Kaczynskis’ policy seemed to be to pick noisy fights with Germany, Russia and the rest of the EU, over, for example, support of the beleaguered Georgians. Some of the criticism was no doubt grossly unfair but the twins’ woeful tactics left Poland marginalised. Since Mr Tusk’s government took office in 2007, however, that has begun to change. The country has offered loans to stricken economies such as Iceland, Latvia and Moldova. Some wonder if it might help Greece, undermining the notion that Europe has a rich, well-run western half, and a poor, backward east. Polish leaders have also made friends with Germany, seeing in Angela Merkel’s leadership an opportunity for a powerful friendship. Many noticed when Guido Westerwelle, the German foreign minister, paid his first visit not (like his predecessors) to Paris, but to Warsaw. Poland has always been a military heavyweight by European standards, able to deploy its 100,000-strong armed forces in Iraq and Afghanistan. America likes that, seeing a sharp contrast with the feeble efforts of some other NATO allies. In return, Poland has gained the main role in America’s anti-missile plans. The Obama administration clumsily ditched a scheme promised by the Bush administration but says the new programme will be bigger and better. American energy companies’ interest in Polish gas reserves may make the connection even stronger. Poland has also earned NATO attention on what was once the neglected home front. The alliance developed contingency plans to defend Poland, and is extending them (using mainly Polish troops) to protect the vulnerable Baltic states. But Mr Tusk’s biggest diplomatic achievement since taking office has been to steer Poland towards a rapprochement with Russia. The biggest sign of that was the participation of the Russian prime minister, Vladimir Putin, at a ceremony on April 7th to mark the anniversary of the Katyn massacre. The Russian government’s reaction to the deaths of Mr Kaczynski and his entourage seems designed to take the process further (see article). This is a big change. Poland used to be the most forthright critic of Mr Putin’s regime. The Russian leader said that Poland would be a nuclear target in wartime. The countries’ reconciliation still has a long way to go. 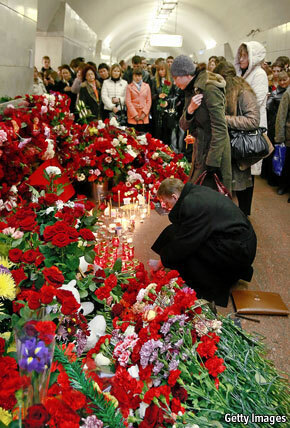 Mr Putin has expressed sympathy for the victims of Katyn. But he has not publicly condemned their executioners. And in a response to a lawsuit at the European Court of Human Rights brought by relatives of Katyn victims, Russia still claims that it is not clear who perpetrated the massacre. Many Poles find that outrageous: it is as if, they say, modern Germany were to admit the Holocaust was not a myth yet still hesitated to condemn Hitler outright. Such feelings brought Mr Kaczynski, along with almost the entire foreign-policy leadership of his party, the commanders of the armed forces, senior intelligence veterans and top historians, to board the plane that crashed on April 10th. They were paying their own unofficial visit, an alternative to the (in their eyes, phoney) reconciliation of the earlier event attended by Messrs Tusk and Putin. In many countries, the destruction of so great a part of the top echelon would have precipitated a crisis, domestically and on foreign-exchange markets. It is hugely to Poland’s credit that this has not happened: the country’s institutions and constitution have passed the test almost serenely. But it has taken a great tragedy to remind Poles of this achievement because, for many of them, too little has changed in daily life. A million or more have gone to work in other EU countries, chiefly Britain and Ireland. Despite the downturn there and Poland’s economic success, they are so far mostly not coming back. The reasons are complex. Poland has little tradition of internal labour mobility, so shortages in Warsaw and the country’s booming western crescent can coexist with deep joblessness in the east. It can be easier, with a budget airline, to commute weekly to Britain than to drive to a job 100km away. Petty corruption in health care and education is endemic. Perhaps most worrying, social mobility is stagnating. After the collapse of communism, a bright young person could aim high. Now many feel that without good connections, it is best to head abroad. The suspicion lingers that the country’s old communist elite and their children have morphed into a new nomenklatura. Poles call this idea the Uklad, an all-but-untranslatable word meaning “deal”, “arrangement” or “system”. The price of the communist surrender in 1989 was that the old elite was able to turn its power into wealth, using connections, slush funds and privileges to gain a head start in the country’s shift to capitalism. The Kaczynskis found that idea repellent. They wanted a fresh start and called it a “Fourth Republic”. But during their ill-starred government of 2005-07, the atmosphere was more reminiscent of Robespierre than Benjamin Franklin. Prosecutors conducted trial by press conference, denouncing victims live on television on what often seemed the flimsiest of grounds. Overzealous sleaze-busting was matched by an apparently obsessive focus on reforming the over-mighty military-intelligence service. Disquiet about the brothers’ vengeful, chaotic and weird reputation led to their downfall in 2007 and the election of Mr Tusk’s Civic Platform party. The big criticism of his government is that presentation outweighs substance. Poland’s prosperity rests on a surprisingly narrow base. It needs structural reforms to deal with, for example, a rapidly ageing workforce, only just over half of whom are economically active. The deaths of Mr Kaczynski and many of his closest allies leave a big political hole but also create an opportunity. The late president was already facing a tough challenge from Mr Tusk’s party in the presidential race that was due in October. That election will now be in June. Bronislaw Komorowski, who is acting president by virtue of his position as speaker of the lower house of parliament, the Sejm, is also the Civic Platform candidate. A victory for him would make Mr Tusk’s efforts to consolidate the centre-right of the Polish political spectrum start to look unstoppable. The most powerful candidate for Law and Justice would be Mr Kaczynski’s twin, Jaroslaw. His intentions are unclear. If he stands, he could gain a big sympathy vote. But he might also remind Poles why they voted him out of office as prime minister. Some Poles believe that a cross-party candidate would be the right step. One of Mr Tusk’s biggest excuses for his government’s cautious approach to reform is that anything radical might be met with a presidential veto. That was not a complete excuse. But if Mr Komorowski or a non-partisan figure is elected, it will be no excuse at all. Poland has done a tremendous amount to make up for five decades of sometimes bestial misrule after 1939. But it has more to do if it is to establish a position as one of the powers of Europe. Tragedy and chaos, both imposed from outside and self-inflicted, feature all too often in Poland’s history. They are exemplified by Saturday’s plane crash. President Lech Kaczynski’s apparently reckless insistence on landing on an unsuitable foggy airport cost the lives of some of Poland’s most distinguished military and academic figures. The echo of the original Katyn massacre, in which the Polish prewar elite — lawyers, doctors, teachers, public servants, all serving as reserve officers — perished at Russian hands is unbearably poignant. Yet the Poland that is now so convulsed in grief has another side to it. Never in its history has Poland been so prosperous or so secure. Last year its economy was the only one in all of Europe to show GDP growth, of 1.7 per cent. The country’s banking system is solid, its public finances sound. The currency, the zloty, is inconveniently strong. Clapped-out communist-era infrastructure is giving way to excellent modern roads, railways and public buildings. Its state education system puts Britain’s to shame. Poland matters. Its 38 million population is bigger than the combined total of the other former communist countries (Hungary, Slovakia etc) that joined the European Union in 2004. In America’s eyes, Poland’s military matters more than that of any other country in continental Europe. Unlike the toy soldiers employed by many other so-called Nato allies, Poland’s soldiers turn up, fight and die in missions overseas. In return, America insists that Nato makes real plans to defend Poland if necessary. The country has lately gained a new role as a diplomatic heavyweight in Europe. The late President had many virtues, including an acute sense of history and scrupulous integrity. But they were all too often overshadowed by his failings: obstinacy, pettiness and a sometimes startling lack of perspective. In the 2005-2007 period when Law and Justice, the main opposition party led by the President’s twin brother Jaroslaw, was in office, ill-chosen tactics, amateurishness and startlingly bad public relations risked making Poland a laughing stock. Since then, Poland’s wily, soft-spoken Prime Minister Donald Tusk, and his heavyweight Oxford-educated Foreign Minister Radek Sikorski have brought about a diplomatic renaissance. Poland has defused tension with Germany, revived the Visegrad grouping of Central European former communist states, built a strong friendship with Sweden and managed a remarkable breakthrough with Russia, epitomised by Vladimir Putin’s attendance at a ceremony in Katyn on April 7, just three days before Mr Kaczynski’s own ill-starred visit there. Politics at home looks good too: whereas many other former communist countries flounder under weak minority governments, Mr Tusk’s coalition administration is smooth, effective — and popular. The socially conservative, prickly, ethics-conscious and patriotic constituency that voted for Mr Kaczynski will not go away. But the politicians that represent it look increasingly outmanoeuvred. Mr Kaczynski was already facing an all but insuperable challenge from Mr Tusk’s Civic Platform party in the presidential elections in October. Now Law and Justice will struggle to find a strong candidate to run in his place. That will further streamline Polish politics by removing the embarrassing clashes with the presidency caused by constitutional confusion over who runs what in foreign policy. The spotlight on Poland will burn increasingly brightly in the coming years. In 2011 Poland will hold the rotating six-month presidency of the EU, preceded by Hungary. The two countries are already planning hard to make that a success, and shift the centre of gravity in EU decision making away from the cosy West European cartel dominated by France and Germany. In 2012 Poland will host the European football championships jointly with Ukraine. Those old stereotypes about Polish backwardness, weakness, misery and failure have never looked more outdated. IN A scruffy Budapest district, a postgraduate student from Cambridge is getting a bruising reception. Gabor Scheiring knocks on voters’ doors to say he is fed up with Hungarian politics and wants change. His party, a greenish outfit called Lehet Más a Politika (Politics Can be Better), is campaigning for cleaner, less partisan politics. His donnish manner and shabby car mark him out from the slippery, bombastic figures who dominate Hungarian politics. But Mr Scheiring is more likely to resume his studies in Britain than to win a parliamentary seat. “They say they hate all politicians,” he says glumly. The two rounds of Hungary’s general election are likely to deliver a big victory for the centre-right, with a strong showing also for the far-right (see article). But a deeper trend across all central European countries facing elections this year is that voters may back politicians they know even if they dislike them, rather than risk new faces from outside. Crossness about misgovernment, economic hardship, corruption and poor public services is palpable. But the politicians who have run the region for most of the past 20 years remain firmly in charge. In the Czech Republic the likely winner in the general election on May 28th is a former Social Democratic prime minister, Jiri Paroubek. He may end up in coalition with the country’s unrepentant Communist Party. In Slovakia the centre-left prime minister, Robert Fico, is likely to be re-elected. In Poland the presidential election in October will probably be won by the candidate from Civic Platform, the party that heads the centre-right government. At the height of the financial crisis 18 months ago, the political fallout looked ominous. Higher unemployment, tax rises and lower living standards suggested that a social and political crisis might follow the economic one. Outsiders noted the shallow roots of democracy in much of central Europe and fretted about violent public protests, nakedly populist politicians and spreading political chaos. Reality has proved reassuringly boring. One reason for this is the success of Poland. It is by far the biggest country in the region and also has the most stable politics, the strongest economy and the most active diplomacy. The prime minister and leader of Civic Platform, Donald Tusk, can boast of economic growth in 2009 of 1.7% and a government with strong approval ratings. He has just calmed a long row with Russia about the Soviet wartime massacre of 20,000 Polish officers at Katyn by persuading his Russian counterpart, Vladimir Putin, to attend a joint ceremony. Mr Tusk’s approach contrasts sharply with the more abrasive style of Civic Platform’s big political rival, Law and Justice. The incumbent Law and Justice president, Lech Kaczynski, faces re-election in October. But he and his twin brother Jaroslaw (who leads the party) have been outmanoeuvred by Mr Tusk. Civic Platform’s candidate, Bronislaw Komorowski, seems set to win the presidential election. An aristocratic figure with a distinguished record in the communist-era underground, Mr Komorowski easily defeated the foreign minister, Radek Sikorski, in a primary election among Civic Platform members. The main effect of the crisis has been on unemployment. In the European Union’s ten central European members it has risen from 6.5% at the height of the boom in 2008 to 9.5% this year. But by the standards of some southern European countries—Spain, for example (see article)—that is hardly apocalyptic. The central European economies shrank by an average of 3.6% in 2009, and the World Bank expects them to grow by a measly 1.6% this year. That is unpleasant but it is not disastrous—and the recovery in 2011 is likely to be stronger than in western Europe. Economic policy is unlikely to change much anywhere after the election season is over, though Poland may find it easier to speed reforms if the president and prime minister can work in tandem. Scarred by memories of communism and distrust of government, central European voters (unlike some west Europeans) show little appetite for more statist policies. Middle-class voters are the most disillusioned by the failure of their elites to bring Western-style stability, prosperity and good government, says Ivan Krastev, a political scientist. But that discontent has yet to find an outlet. “Nowhere do you find a really interesting policy debate,” he says. The biggest shifts are likely to be felt in more peripheral matters. A fraying sense of social solidarity may harden attitudes to minorities such as Roma (gypsies), notes Mr Krastev. The treatment of Roma is central Europe’s worst social problem, and it could easily turn a lot nastier. Foreign policy too offers some scope for change, potentially of a harmful kind. Many worry that Hungary’s Viktor Orban will squabble with such neighbours as Slovakia, where a large Hungarian ethnic minority feels increasingly alienated by Mr Fico’s own ethnocentric approach. A growing rapprochement with Russia is also under way in most places. For all his firebrand rhetoric, Mr Orban seems to get on well with Mr Putin. Mr Fico is particularly chummy with Russia, as is the would-be Czech leader, Mr Paroubek. Mr Tusk has made a remarkable breakthrough over Katyn. In short: in diplomacy as well as politics, central Europe is looking increasingly like western Europe. If only living standards and the quality of life would catch up as well. APPLY online for visa-free entry to the United States and the Department for Homeland Security offers 251 choices for “country where you live”. The wide but rum selection includes Bouvet Island, an uninhabitable icy knoll belonging to Norway in the South Atlantic; South Yemen (which stopped being a state in 1990); and the “Neutral Zone”—a diamond-shaped bit of desert between Saudi Arabia and Iraq that vanished after the 1991 Gulf war. That is the trouble with such lists. Places that are not real states at all end up on them. And places that approximate a bit more closely to countries (at least in their own eyes) may be absent. America’s list, for example, excludes Abkhazia and South Ossetia, self-proclaimed states that broke away from Georgia with Russian backing. Just three other countries—Nicaragua, Venezuela and the islet of Nauru—recognise those breakaway statelets as independent. Meanwhile nobody at all in the outside world seems ready—yet—to give southern Sudan a label of its own, though that day may not be far off. Private-sector lists are just as odd as those compiled by governments. Hotmail offers 242 “countries/territories” from which you can register an e-mail account. Web-savvy penguins may be pleased that Bouvet Island is on the list. But human beings in Kosovo (recognised by 65 states) and Western Sahara (more than 80) will search in vain for their homeland. Any attempt to find a clear definition of a country soon runs into a thicket of exceptions and anomalies. Diplomatic recognition is clearly not much guide to real life. In the early years of the cold war most countries recognised the Chinese regime in Taiwan (“Free China”) while the mainland communists (“Red China”) were isolated. Now the absurdity is the other way round. The number of countries with formal diplomatic ties to Taiwan has shrivelled to just 23—mostly small, cash-strapped islands. Yet Taiwan is not just a country, but a rather important one. Under mainland-pleasing names such as “Chinese Taipei” it is a member of the Asian Development Bank and the World Trade Organisation, and an observer at some OECD panels. It has nearly 100 “trade offices” around the world. If diplomatic recognition is not the main thing that marks out a country, what does? Is it the ability to issue passports that are of some use to the holder, or simply actual control of a stretch of land? Again, the picture is cloudy. Legitimacy, physical control and the capacity to issue documents that other people accept don’t always coincide. For example, lots of countries that do not recognise Kosovo accept travellers bearing its passports. For decades, Lithuania’s exiled diplomats issued usable passports even though their country was under Soviet rule. The Sovereign Military Order of Malta, a do-gooding outfit with crusader roots, issues not only passports but postage stamps (and has diplomatic relations with over 100 countries). Its territory is just two nice buildings in Rome. Vatican City, an enclave of just 44 hectares in the middle of Italy’s capital, is only a little bigger—but it very much sees itself as a sovereign state (see article). Yet the Vatican’s diplomats serve the papacy—the Holy See—rather than the state where it is based. And the See, not the statelet, is an observer at the United Nations. Not that presence or absence from the UN is much help to anyone seeking clarity. Israel joined the world body in 1949, but 19 of its 192 members do not accept the Jewish state’s existence, and many avoid uttering its name, preferring formulas like “Zionist entity”. A third of UN members do recognise Kosovo, but the UN itself does not. In reality, UN membership is neither a necessary nor a sufficient condition for functioning statehood. Being outside the UN means that Kosovo is still waiting for its own internet domain name, phone prefix and chance to play international football. But Taiwan, recognised by even fewer countries, manages to have all three. The Turkish-backed administration in northern Cyprus proclaimed independence in 1983 but it has been recognised only by Turkey and remains in a state of partial economic isolation. Attempts have been made to start direct air links with Britain, but in 2009 a court ruled that this would contravene international law which gives the island’s internationally recognised government (which controls the Greek-speaking part of the island) sovereignty over its airspace. A German thinker, Max Weber, defined statehood as “the monopoly of the legitimate use of violence”. That may be a practical approach but it doesn’t end the confusion. Chaotic Somalia spectacularly fails to meet this criterion, yet still counts as a sovereign state. Yet its northern bit, Somaliland, has met this standard with increasing impressiveness since it declared independence in 1991. It has a currency, car registrations and even biometric passports. But only private firms such as DHL, a courier company, link it to the outside world. International postal service requires membership of the Universal Postal Union, which for non-members of the UN need approval by at least two-thirds of that body’s members. The African Union refuses to recognise Somaliland’s independence because it dislikes changing any African borders. Outsiders hold back until African countries change their minds. One reason for confusion is simple laziness. Deleting countries that have disappeared or places that have always been uninhabited should be easy (the Department of Homeland Security blames out-of-date historical data for its list and says it will change it soon). But sheer inertia, and a feeling among many sovereign states that changes of boundary and status set a bad precedent, makes changes less likely. How far a populated patch of land qualifies as a country is ultimately a subjective question for politicians; it will never be settled by lawyers in a way that everybody accepts. And the fact that there are degrees of recognition—ranging from full diplomatic ties to virtually denying a state’s existence—gives governments a calibrated set of tools which can be used to reward good behaviour and penalise bad. And whatever diplomatic theory says, life goes on. Taiwan is celebrating a friendly resolution from the European Parliament, and dishing out aid to Haiti. Kosovo rents dialling codes from Monaco and Slovenia. A football championship for teams from unrecognised countries is due to start next month in Malta. And a delegation of senior politicians from Somaliland had a friendly meeting at the White House on April 3rd. Presumably they had squared things with immigration control. THE Obama administration’s closest European allies are oddly tricky to please. An invitation to the leaders of the 11 ex-communist members of NATO to dine with the president in Prague on April 8th was meant to repair a relationship both cherished and moaned about. Instead, indigestion was looming even before the meal was cooked. It should have gone smoothly. The president is in Prague to sign a new nuclear disarmament agreement with Russia. Even the twitchiest ex-communist countries don’t mind that. The choice of Prague, the capital of a key American ally in the region, over a neutral location such as Geneva, was meant to signal America’s continued commitment to the region’s security. Mr Obama could have simply headed home after the ceremony, or travelled on to a meeting with one big ally. Instead, he chose to invite, admittedly at short notice, all of his ex-communist allies to talk. The first sign of trouble was that the guest list looked odd. From the three Baltic states, the administration invited the presidents (Toomas Hendrik Ilves of Estonia, Valdis Zatlers of Latvia and Dalia Grybauskaite of Lithuania). But from most of the other eight countries, it was the prime ministers. Admittedly, lines of responsibility between heads of state and government can be blurred. But the rationale for including the mainly ceremonial Baltic presidents but snubbing the Polish president, Lech Kaczynski, who has rather more clout, was mystifying. While heads were being scratched, Ms Grybauskaite dropped a small bomb. She would not be going to Prague, she said. Her prime minister, Andrius Kubilius, would stand in for her. Explaining her decision, Ms Grybauskaite complained that the dinner would involve “no decision-making”, that it was organised by junior officials, that its outcome was unclear and that she would have only two minutes to talk one-on-one with Mr Obama. Coming from a country roughly one-hundredth America’s size, that showed a startling self-confidence, even by Lithuanian standards. 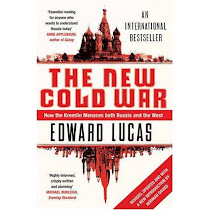 Next came a remark by a “senior US official” in the New York Times, that the president “will seek to impress upon regional leaders a new attitude toward Russia in which the outmoded fears of Russians hiding under the bed are a thing of the past”. That appeared to confirm the east Europeans’ darkest fears about America’s new cosiness with Russia. Senior officials dealing with the region in the White House and the State Department categorically denied that any such thinking lay behind the dinner. Clumsiness in American presentation of policy in the region is nothing new. Some Poles are still fuming about the botched announcement of a change in American missile defence plans on September 17th last year. That date, the anniversary of the 1939 Soviet invasion of Poland, matters there roughly as much as Pearl Harbour day does in America. The blunder followed a fretful public protest from leading figures in the region, such as Vaclav Havel, about weakening transatlantic ties. But since then the administration has worked hard to improve things. It has pushed through NATO contingency plans for the Baltic states, the alliance’s most vulnerable members, bringing a spectacular German flip-flop on this previously taboo issue. The new missile defence scheme is bigger and better than the one it ditched. And now the president, on yet another visit to Europe, has invited everyone to dinner. The lingering difficulties reflect the real problem in the US relationship with central Europe, which is in the ingredients, not the cooking. The days of instinctive Atlanticism in the region are over, as Ms Grybauskaite’s haughty stance, which would once have been inconceivable, demonstrates. The ex-communist allies’ contribution to solving most of America’s problems is marginal, at best. Europe itself is divided and lacks credibility in the eyes of busy Americans. Sorting that out needs hard thinking and a long slog, not just a nice dinner. AS THIS column noted recently, the era of “therapeutic historiography” is drawing to a close in central and eastern Europe (with the odd exception). The Russian authorities are also trying to clean up, at least in part, their country’s most toxic historical debris. One remarkable sign is that state-run Russian television has just screened Andrzej Wajda’s extraordinary film “Katyn”, which epitomises both Soviet atrocity and the lies that followed. Accompanying Donald Tusk, the Polish prime minister, at a commemoration ceremony to mark the 1940 killings (see below), Vladimir Putin even publicly expressed qualified regret, if not quite an apology, for the massacre—a huge shift given the disgusting falsehoods pushed in official and semi-official media in recent years. This is still a long way short of German-style Vergangenheitsbewältigung (coming to terms with the past). Russia has paid no compensation to the foreign victims of Stalinism (and little to its own citizens). Rows over looted property remain unresolved. (Estonia’s presidential seal is one of many such “souvenirs” illegally in Russian hands). Shamefully, many historical archives remain sealed. easier to find a common language with Mr Putin than did his predecessor, the divisive and discredited Viktor Yushchenko. On the other hand, Mr Yanukovych, often seen as “pro-Russian”, needs to be careful not to appear a soft touch. That leaves the Baltic states, where the demand for justice about the past is still burning. Their forcible annexation into the Soviet Union in 1940 was one of the clearest and most outrageous consequences of the Molotov-Ribbentrop pact. But the ground is shifting. Russia is flirting with Lithuania, where President Dalia Grybauskaitė is convinced that her personal touch can bring a breakthrough in relations. A deal looks possible: Russia could express “regret” (not “apology”) for the “incorporation” (not “occupation”) in 1940, and offer a favourable trade deal. In return Lithuania could drop demands for compensation. If Latvia followed suit, Estonia would be impossibly isolated. If Ukraine goes for “normalisation” too, that would be game, set and match to the Kremlin. Smugness and evasion over history are widespread in Europe. Britain, to take one example, habitually wallows in a nostalgic and misleading version of its own past. But it is hard not to feel that an opportunity is being missed. The horrors of Soviet rule, and the memory of its victims, deserve more than a convenient political fix. The greatest victims of Stalinism were arguably Russians—in more ways than one. Brave Russians who still demand that their rulers face up to the awful past may feel let down if others settle for half-truths. WESTERN colonialists have often behaved abominably but they usually repent of it later. Move east, though, and the picture becomes cloudier. Few now remember what happened to Circassia. As the Ottoman empire crumbled in the mid-19th century, Russia conquered the loosely held Turkish domains on the north-east coast of the Black Sea—and huge numbers of the anarchic, steely Circassian tribespeople died in what would today be termed a genocidal colonial war. Many more fled the killing grounds, crossing the Black Sea in leaky and overcrowded ships, many of them to die miserably in now-forgotten refugee camps on the Turkish coast. Around half the Circassian population of 2m perished. Oliver Bullough’s first book marks him out as a distinguished researcher, observer and narrator. The opening chapters deal with a part of history wholly neglected in Russia. It is as if Americans had never heard of the Sioux, and Wounded Knee had become a tourist resort where the events of 1890 had faded from memory. That is pretty much how surviving Circassians now see the 2014 Winter Olympics in Sochi, which 150 years ago was the site of their final and greatest defeat and massacre. Mr Bullough tracks down their remnants, determined and despairing by turns, in Russia and in exile. His quest takes him from dirt-poor villages in Kosovo to influential bits of Jordanian officialdom. He paints a haunting portrait of a people blown to the winds by a forgotten storm. His research is formidable. He unearths long-buried contemporary accounts of the killings, and desperate pleas for help buried in old files in the British Foreign Office. He matches this with accounts of the contemporary diasporas, often both nostalgic for what they have lost and disgusted by what they find when they return. If the tsarist conquest of the northern Caucasus was savage, what followed under communism was worse, including the Stalin-era deportations of whole nations to the steppes of Central Asia. A particularly harrowing account is of a wartime massacre in the Cherek valley in Balkaria (a Turkic-speaking district next door to the former Circassia). Like the murder of Polish officers at Katyn, this was carried out by Stalin’s secret police, the NKVD—but then cynically blamed on the Germans. But whereas Poles have doggedly defended their history against falsifiers, the Circassians have been all but voiceless. One of Mr Bullough’s most powerful points is how little about the Circassians can be found even in works by specialist historians of the region. The heirs to this history visit cruel, random destruction in terrorist attacks, bringing botched responses by the authorities. Mr Bullough unpicks the seizure, by terrorists claiming to be Chechen fighters, of the Beslan school in North Ossetia, a neighbouring republic in Russia’s Caucasus, in 2004. And he investigates the background of the women who have become suicide-bombers to avenge their husbands, sons and brothers—a tactic which, early indications suggest, was repeated in two attacks on the Moscow metro this week. Russian and then Soviet rule brought literacy, electricity and roads to the region, and uprooted feudalism. But by Mr Bullough’s account, it would be a travesty to call that a civilising mission. It has come with a shocking mixture of brutality, incompetence and corruption, entrenching criminality on all sides. FEW people have heard of Moldova—and when they have, it is usually for the wrong reasons. A frozen conflict with Russian-backed separatists in Transdniestria has hamstrung the country since 1992. A year ago a rigged election brought riots, followed by hundreds of arrests, scores of alleged beatings and rapes, and three deaths. The outrage led to a new election and the formation of a shaky pro-Western coalition government. Its youthful ministers are in sharp contrast to the greyness of the previous regime, nominally a Communist one but in fact crony-capitalist. The new lot have thawed relations with Romania and launched a charm offensive in the West. A donor conference recently pledged €1.9 billion ($2.6 billion), half in grants and the rest in soft loans. China has dangled a $1 billion loan for infrastructure. The IMF has approved the government’s economic policies: after an 8.5% drop in 2009, GDP is likely to grow by 1.5% this year. Yet Moldova will still be Europe’s poorest country. Hundreds of thousands of Moldovans work abroad, mostly illegally. Their remittances keep Moldova afloat. Outsiders see more changes at the top than Moldovans themselves feel in practice. Reining in the budget deficit, over 8% of GDP in 2009, will mean rises in heating costs and cuts in a bloated public sector. Wrangles in the deadlocked parliament over the election of a new president waste time. Failure, says the constitution, would mean another general election that few want. More important to voters is travel to the rest of Europe. This has got harder since Romania joined the European Union in 2007. The Romanians promise a special regime for Moldovans living within 30km (about 19 miles) of the border. But they also want to join the Schengen passport-free zone next year, which would create still more expense and hassle for Moldovans. The goal of visa-free travel to the EU is a long way off. Changing Western minds means enacting reforms, not just talking about them. Officials speak excitedly of Estonia and Georgia as models. One sign of intent might be to liberalise aviation rules, allowing budget airlines to fly to Chisinau. That would be popular with passengers but bad news for the protected national airline, Air Moldova. The biggest change has been in media freedom, tightly restricted under the previous government. Two new television stations have started broadcasting. Romanian television will return soon. But big reforms in the corrupt, Soviet-style bureaucracy must wait, as it seems must the rule of law. Investigations into official misbehaviour during last year’s riots have brought some sackings and suspensions, but no deep-seated changes—or even a truthful account of what really happened. LAST week’s column dealt with the arcane name squabble between Macedonia (aka FYROM) and Greece. This piece was soon the most-commented on the Economist’s website. That was no thanks to the brilliance of the prose and the lucidity of argument. The subject was one of those issues that attracts bigots, scaremongers and polemicists, with a vanishingly tangential relationship to truth, logic and courtesy. The article described the row as “the most tedious dispute in the Balkans”. The ex-communist region sets a high standard in such matters, so the epithet is not to be bestowed lightly. Here is an outsider’s guide to a few of the other rows. All the arguments below are a) historically plausible and b) strike most outsiders as quite mad. Are you calling me a Tatar? Moldova/Romania A sizeable number of Romanians believe that what is today called the Republic of Moldova is nothing more than a lost province of real Romania, snatched by Stalin out of spite (along with northern Bukovina, which went to Ukraine). The sooner this “pretend Moldova” rejoins Romania the better. Handing out passports to as many Moldovans as possible brings this nearer. Bulgaria/Macedonia From a certain Bulgarian-nationalist viewpoint, the idea of a discrete Macedonian ethnicity or language is a nonsense—rather like defining “Texan” as an ethnicity in America. Yugoslav Macedonia was a historical accident, and the sooner the detritus joins Bulgaria the better. After that, it will be time to liberate the brother-Slavs of northern Greece. Slovakia/Hungary According to hardline Slovak nationalists, the whole idea of a Hungarian ethnic minority in the country is absurd. These people (many of whom are Gypsies anyway) should shut up and get on with being Slovaks: ie, speaking Slovak and thinking like Slovaks. Any other behaviour is a sign that they are still imprisoned by their imperial mindset. If they don’t like living in Slovakia, they should go back to Hungary (where, incidentally, the Slovak-speaking minority has dwindled to nothing—proving that it is the Magyars who are the real ethno-nationalists). Lithuania/Poland Not many people realise this, but most of the people speaking Polish and Belarussian in the area in and around Vilnius are not really Slavs but polonised Lithuanians, the legacy of centuries of forced assimilation. That is a terrible fate, so the right (and kindest) thing to do is to depolonise these people and relithuanianise them. A good way to start is to make sure that they do not get trapped into using foreign Polish letters and silly spellings when writing their names. It is Adomas Mickevicius, not Adam Mickiewicz. Let nobody forget it. Ukraine/Poland Anyone who spells the capital of Galicia as Lwów is a Polish nationalist who bayonets Ukranian babies for fun. Anyone who says it is spelled Lviv is a Ukrainian fascist who bayonets Polish babies for fun. Anyone who spells it Lvov is a Soviet mass murderer. And anyone who calls it Lemberg is a Nazi. See you in Leopolis for further discussion. Among the runners-up: “Tatar” is a derogatory and invented name for the inhabitants of modern Tatarstan, who are in fact the descendants of Volga Bulgars. Kievan Rus was not Russian. Any talk of a Ruthenian nation is ill-informed, stupid, possibly mad and the product of Muscovite attempts to split and destroy Ukraine. Outside pressure has mostly calmed these arguments within formal politics. But on the internet the rows still rage, with tortured facts, arguments and syntax, all mixed with vituperative insults, phoney politeness and seemingly RANDOM Use Of Capital letters. 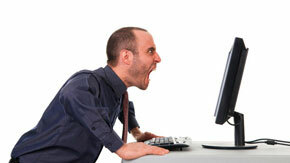 There is a whiff of pyjamas-at-noon, and of people who check their emails in the small hours. Time to get a life?